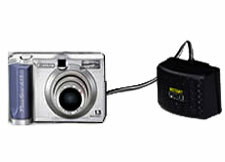 The digital camera has many advantages, but the major disadvantage is the chewing up of battery power. There is no problem with battery power when you return to your hotel room and a battery charger renews the needed battery power of 4 AA batteries in 1 hour. With 12 batteries with you at all times, you will never have to worry about not having enough battery power for the day. So, how do you survive a week in the outdoors without electricity to recharge your batteries? 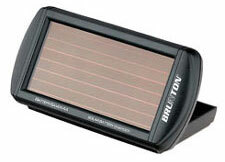 Do you take your SLR film camera instead so you don't have to worry about the loss of batteries? The following are some hints and tips to help you extend your battery life while you're in the outdoors with a digital camera. 1. Take as many batteries that you can store in your backpack depending on the weight, affordable cost and space required. 2. Take one set of standard non-rechargeable camera batteries along with your rechargeable batteries just in case some of the rechargeable batteries did not charge properly. 3. Always use NiMh rechargeable batteries. They offer capacities of up to 2,300mAh, almost twice the capacity of standard NiCad batteries. 4. Use the LCD display screen only when actually needed. The LCD display screen consumes the most power in a digital camera. Obviously, there becomes a conflict with the use of the LCD display screen. If you don't have enough memory cards to store all the photographs, then periodically, photographs have to be erased to give you enough storage for your photographs (which leads to number 5). 5. Bring enough memory cards for your photographs. If you don't have enough memory, you will be using battery power to erase the photographs to make room on the card. Enough memory conserves battery power. Look at the number of photographs left on your memory card and limit the number of times you review your photographs. Only review and delete when it's absolutely necessary in order to free up memory for additional photographs. 6. Do not use the auto focus setting on the camera. Constant focusing of the camera uses a tremendous amount of battery power. 7. Before taking a photograph, warm up batteries to body temperature by keeping them in a shirt pocket if you are photographing in a cool environment. The reverse is true if you are in a hot environment. Cool your batteries, if possible, in your backpack before taking a photograph. 8. Set your camera to the maximum sleep mode. Turning the camera on and off uses more battery power than keeping your camera on in the sleep mode. 9. Always set the flash to auto as this will increase battery life. 10. This is probably the most useful hint. Go out for a day hike and duplicate the use of the camera. Keep it on all day and take as many photographs as you would on your backpacking adventure. If you camera gives you an accurate reading of the amount of battery power left (and you trust the reading), calculate the number of batteries needed for your trip. Otherwise, do another day hike until the batteries run out. For instance, if half the battery power is left and you use 4 AA batteries in your camera, then the batteries will last 2 days. If you are planning on traveling for 7 days, then you will need 4 sets of 4 batteries or 16 batteries. Don't forget to take into consideration the temperature. If you are going to a colder or hotter environment, the battery life will be reduced. 11. You might want to consider either a solar battery recharger (Figure 1) or a Disposable Battery Pack (Figure 2). Either choice might extend your battery life.